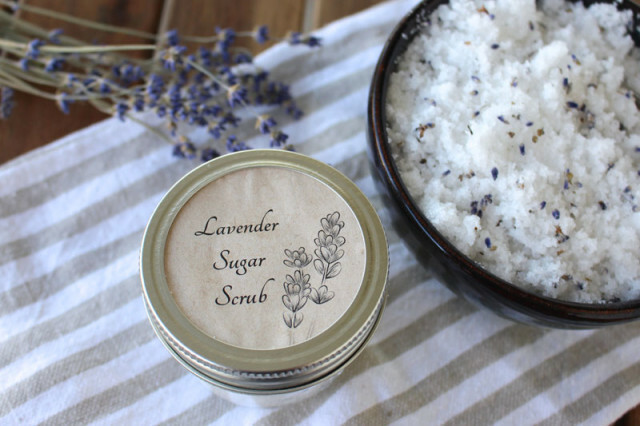 Lavender Sugar Scrub is an easy DIY beauty product that can be jarred up as a lovely handmade bridal shower favour or wedding favour to give your guests. Last month I wrote about the bridal shower we hosted at the farmhouse for my cousin getting married this summer. When we were trying to come up with an idea for a bridal shower favour to give the guests, I remembered that I had some lavender hanging in our mudroom that I had hung up to dry last fall. 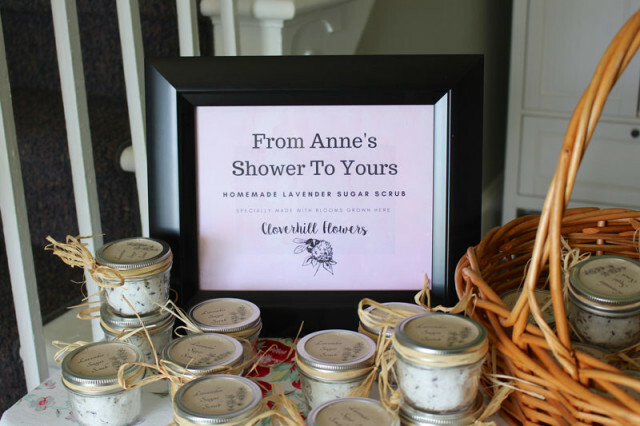 I set up a small table draped in a vintage tablecloth in our front hall, with a sign welcoming guests to take a jar of Lavender Sugar Scrub home with them. 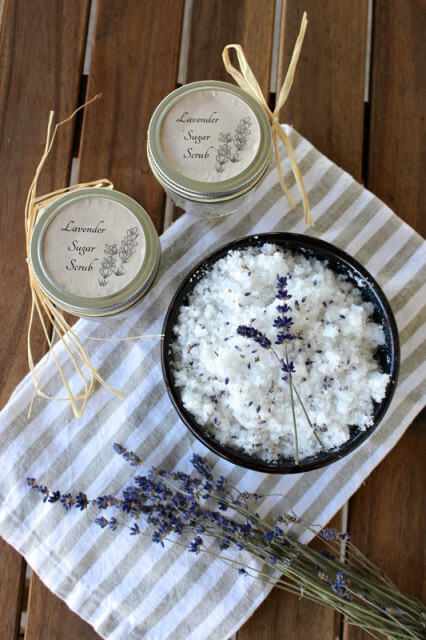 The Lavender Sugar Scrub was super easy to make, using only four ingredients that I already had on hand, or you could easily find online. 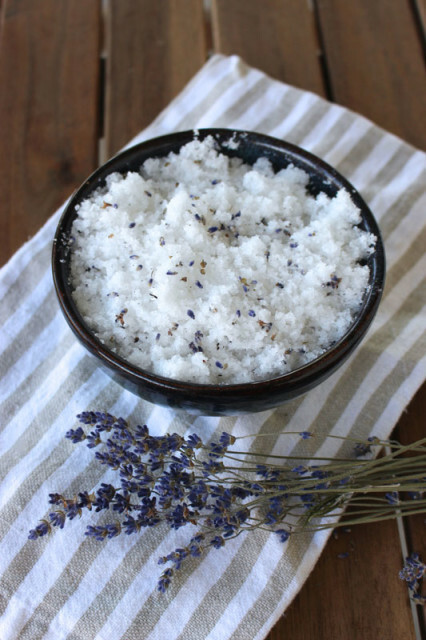 Lavender is said to improve circulation and provide a peaceful calming effect, making this a great scrub to use after a long day in the garden. 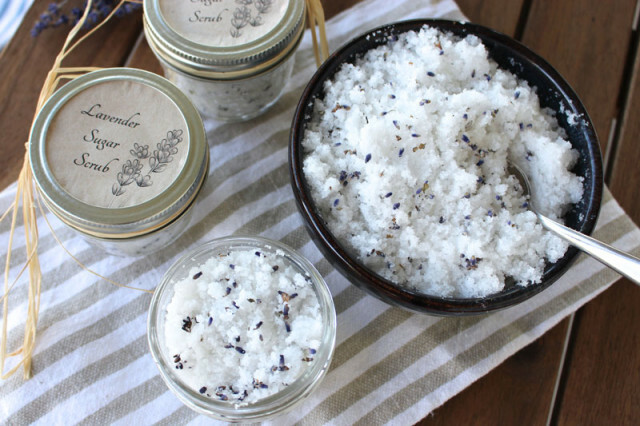 To use the scrub, you scoop a small amount onto wet hands and rub them together to remove dirt and moisturize. Rinse and pat dry. It’s great for areas that tend to get dry, like hands, elbows, feet and knees. In a large mixing bowl, combine sugar and coconut oil, stirring until it forms a soft crumble. Add lavender essential and dried lavender buds. Stir again. Spoon into glass mason jars and screw the lid on tight. Add a label and ribbon. Can easily be double, tripled, etc to make as many jars as you need. 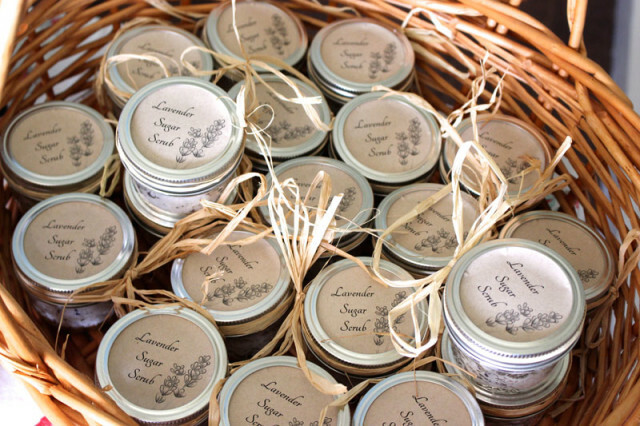 It was so quick to mix it all up and scoop it into some cute jars for our bridal shower guests to take home. I found 2″ kraft paper labels from Avery (similar white ones here too) and created a label on the Avery Design & Print Online website using the templates they already have. I’ve saved a PDF the label below in case anyone wants to use it to create their own jars. For a little extra decoration, we added rafia or you could use ribbon too. 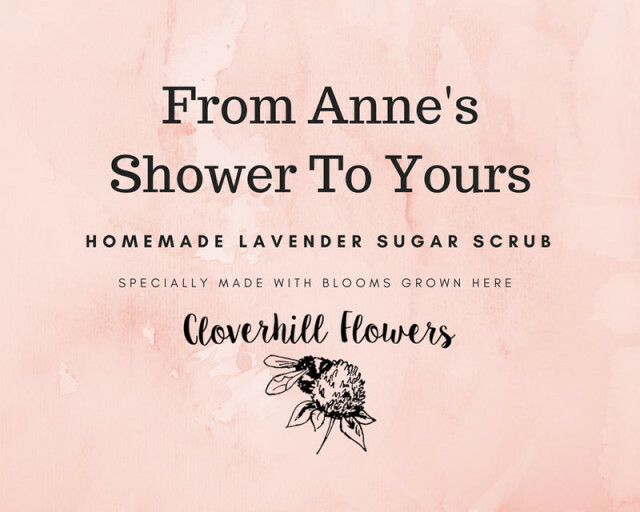 I’d seen a cute sign like this online and recreated it in Canva to let guests know that the lavender was from our own Cloverhill Flowers field. 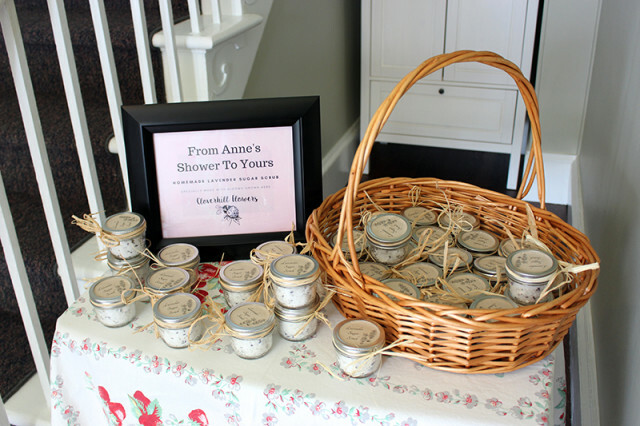 I love the phrase “From Anne’s Shower to Yours”. If you’ve never used Canva before, it’s a super easy way to create custom images and designs through your web browser. For this one, I uploaded our Cloverhill Flowers bee & clover logo, and used their background templates and font to create an 8″ x 10″ image that would fit in a frame. 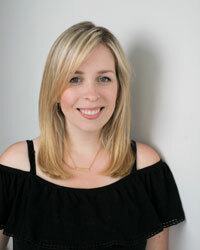 For more bridal shower and wedding ideas, check out my Wedding page. Love this, I’m growing a small bunch of lavender, so I’m looking forward to trying this.